If you are considering grad school and any of those sound interesting to you, consider joining my research group at Stony Brook University. 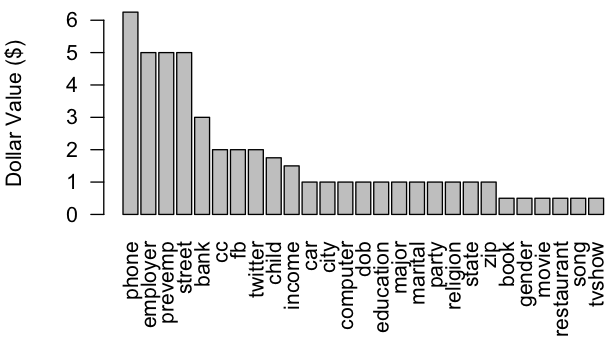 In the Computational Social Science of Emerging Realities Group (CSSERG) we take advantage of massive data sets to re-examine what we think we know about human behavior. CSSERG is a group of scholars committed to cross-disciplinary collaboration, united by common computational methodologies and always with our eyes on the near future. Will virtual reality make us more virtuous people? We’ve got a project on that. What does Applebee’s have to do with capital punishment? We’ve got a project on that. What causes people to give up on their dreams? We’ve got a project on that. How are revolutions like ice cubes? We’ve got a project on that. Ready to do your part? Join today! This entry was posted in research and tagged computational social science, sociology on August 8, 2017 by jasonjjones. Come study computational sociology with myself, Arnout van de Rijt and Jennifer Heerwig! In collaboration with Stony Brook University‘s Institute for Advanced Computational Science (IACS) and the Big Data for the Social Sciences (BDSS) cluster, the Department of Sociology is excited to inform graduating seniors and Master’s students about a new funding opportunity for those interested in pursuing a doctoral degree in sociology. For students with a background that combines programming skills and an interest in social science, the IACS offers a New Recruit Fellowship, which supplements the regular Sociology stipend bringing total compensation to $32,000 annually (with extension for subsequent years based on performance). It also provides a $4,000 budget for travel and equipment expenses. As a result of the BDSS cluster initiative, the Department of Sociology has hired leading scholars in this new field and established inter-disciplinary connections with top research faculty from computer science and political science. This entry was posted in research and tagged computational social science, sociology on December 12, 2014 by jasonjjones. Big things are just many small things put together. It would be good to know which small things go together. You could learn how a brain works by thinking this way. Or you could learn which people like which other people. Thinking about how small things are put together to make big things is a good idea. It would be good to know how we learn, and how we should learn which things go together. To this end, I did five studies in which people learned which things in a set were joined together. To show you what I mean, some people learned “who is friends with who” in a friend group. But other people learned about other things that were joined together – like which cities have roads that go between them. By doing these studies, I found out a few things. One thing I learned was that it matters how the things are joined up. To show you what I mean, think about the friend group again. It is easier to learn who is friends with who in a group where few people have many friends and many people have few friends. If things are more even, and all people have about the same number of friends, it is hard to learn exactly who is friends with who. It doesn’t matter if the joined things are people or cities or computers. It is all the same. Also, it doesn’t seem to matter much why it is you are learning what things go together. I also show that people learn better by seeing a picture of joined-together things rather than reading about joined-together things. This is the case even more when the things that are joined are made to be close together in the picture. Finally, I talk about an all-around idea for how people learn about groups of joined together things. I say people start out by quickly sorting things into much-joined and few-joined types. Then they more slowly learn which one thing is joined to which one other thing a little at a time. This entry was posted in research, social networks and tagged cognitive psychology, social networks, upgoerfive on January 22, 2013 by jasonjjones.